Marlon Peterson is an international social and criminal justice advocate, writer, organizational trainer, and educator who spent 10 years in New York State prisons. He is the host of the podcast, Decarcerated, a Soros Justice Fellow, Aspen Ideas Festival Scholar, a 2015 Ebony Magazine Power 100 honoree, and TED Resident. 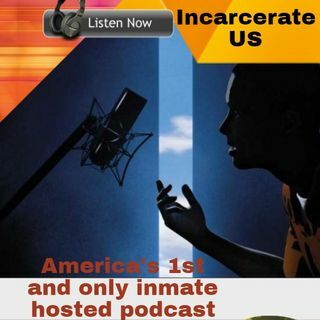 Marlon is the host of the Decarcerated Podcast. He is also the founder and chief re-imaginator of ... See More The Precedential Group, a social justice consulting firm, and a 2015 recipient of the prestigious Soros Justice Fellowship. During his incarceration he collaborated with friend, author, and founding principal of Mott Hall Bridges Academy, Dr. Nadia Lopez, to create a letter correspondence mentorship program with middle school students. This program set the foundation for the creation of H.O.L.L.A. (How Our Lives Link Altogether). Serving as the founding executive director, HOLLA is a 2016 recepient of an Echoing Green Fellowship under the leadership of the current executive director, Andrew Cory Green. Since his release in prison in December 2009, Marlon has held several nonprofit positions. He is the former Director of Community Relations at The Fortune Society,and previously served as the Associate Director of the Crown Heights Community Mediation Center, founding coordinator of Youth Organizing to Save Our Streets, and co-founder of How Our Lives Link Altogether (H.O.L.L.A!). Marlon also serves as board chair of Families For Freedom and board member of New Yorkers Against Gun Violence. Marlon graduated from New York University with a Bachelors of Science with a concentration on Organizational Behavior. Marlon’s writings have appeared in Ebony, Gawker, The Nation, The Crime Report, Black Press USA, Huff Post, The Roots, and other online publications. He has contributed to Kiese Laymon’s award winning novel, How to Slowly Kill Yourself and Others in America and Love Lives Here, Too by former New York Times columnist, Sheila Rule. Marlon lives in Brooklyn, New York, and is working on his first novel. “People like me, who come from where I come from, should be setting new paradigms for what justice looks like.That’s how we can” #BePrecedential.